Great track Kholo, love how its progressing. 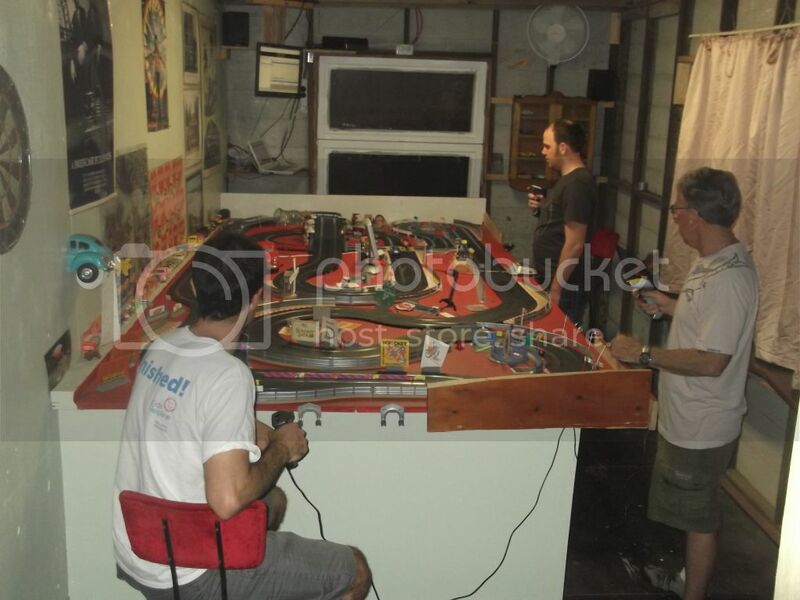 Reading this thread took me right back to our own build starting back in 2006 when I bought the boys a digital SSD set for christmas, now we have a 6m x 2.5m table in the garage with a 40m layout (cross over as well) 85 cars and all the high tech digital mods. It's just great fun, well done and keep going. PS. if your looking for more magnet strength your can just add small metal washers to the top of the magnets this works well, but don't use ones that are too large as the extra magnetic down force drag could burn a motor out (and slow the down too much). 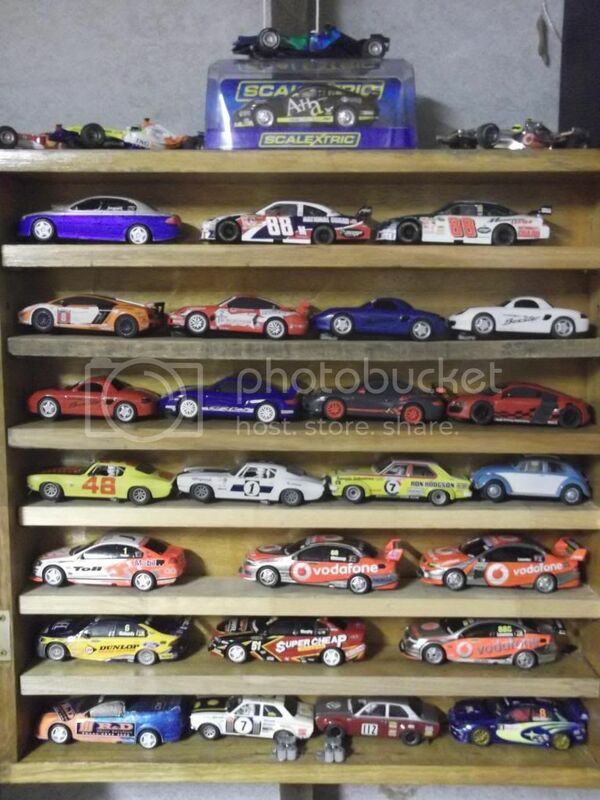 I also use the small magnets in the "Magnetics" toys which can add just that little extra to tame a difficult car or quickly even a class of cars up without a lot of tuning etc. I have organised a 5 round Porsche Challenge at the Kholo Track. The first round was a little lite on racers, as two guys had to pull out. The set up is 3 x 20 min races over three nights, with the top 2 from each meet to race a qualifying final, with the top 4 to race the final. We raced from 7:30pm - 12:30am, a decent effort. After the Porsche challenge rounds we had open racing, including F1's and V8's. Edited by Kholo Kid, 29 October 2012 - 07:54 PM. I have procured a few extra cars. I now have 30 in total. Edited by Kholo Kid, 15 January 2013 - 10:18 PM. The Kholo track has been getting a decent run over the past couple of months, with eight meets having been held now (and two more planned in the coming fortnight). I estimate that over 2800 laps have been raced on the track to date, and I would have completed close to that number by myself. The 6 car power base hasn’t missed a beat, and the SSDC software is great. My lap times have come down quite significantly, from mid 8 seconds to my best (achieved this week) of 6.10 seconds. I would not have thought a 5 second time was possible, but that now seems just a matter of time. 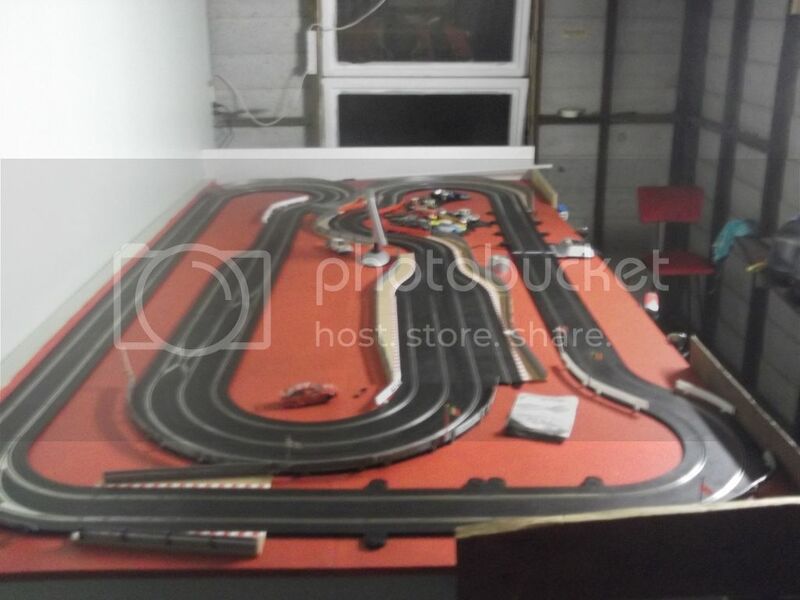 I have modified the track slightly this month, adding a longer pit lane which runs for around 1.5 metres now. 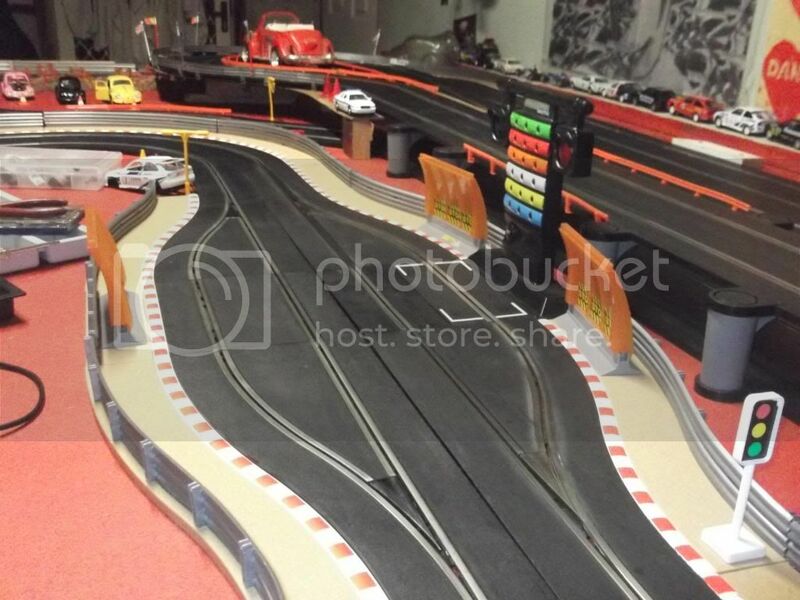 After a long delay (Scalextric warranty support in QLD is woeful) I have a working pit lane game as well, so the next meet will have a pit Marshall monitoring pit exits. 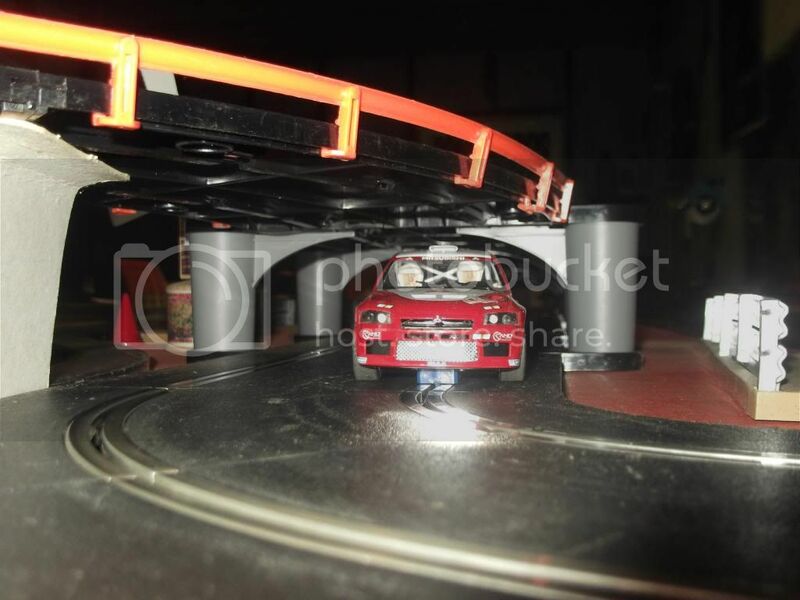 I have expanded my slot car hobby a little and I have written an article for a slot car magazine on the development of my track which will be published this month. 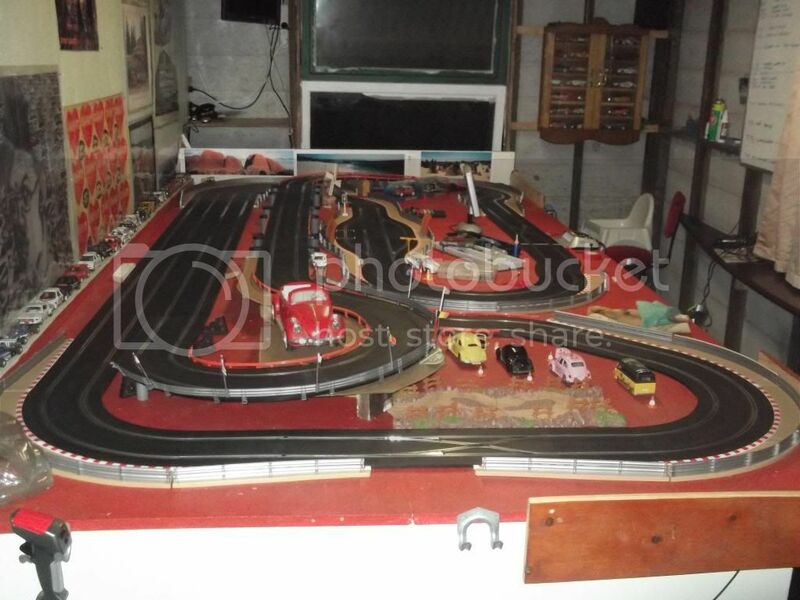 The editor was happy with the article and has asked me to review a slot car for him. He will supply the car (Pioneer brand - Mustang) and I will run it on my track and write a two page review. Best of all I get to keep the car. 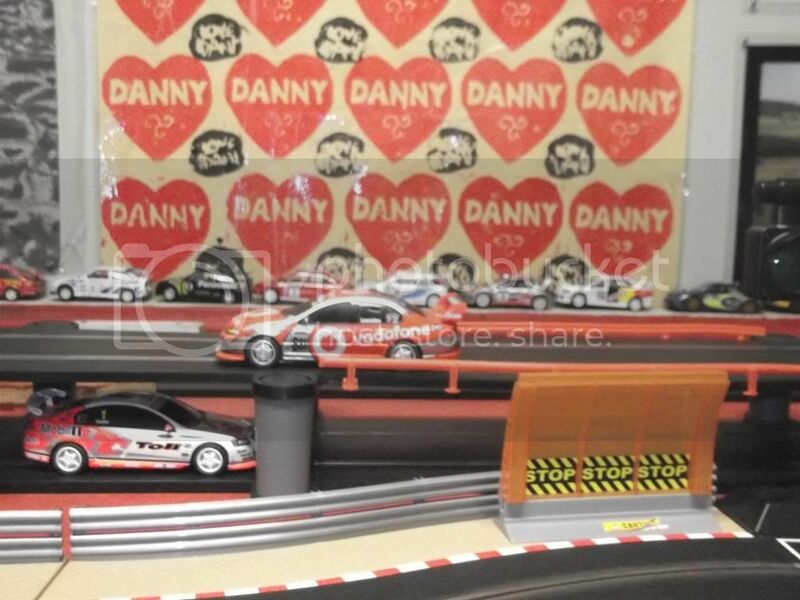 This will be the first non-scalextric car I have run on my track, so that will be interesting as well. Hopefully I will get the car in time for the next meet I have organised and I will get to test it under race conditions. On the topic of race meets they (the meets) have grown to take on a life of their own. I have three core groups that attend being the locals, the family/friends and the baby group guys. The baby group is a spin off from a group that my wife helped set up (we all have kids 3 years and under). This group is interesting as we are all dealing with similar issues, such as toddlers, new bourns etc. 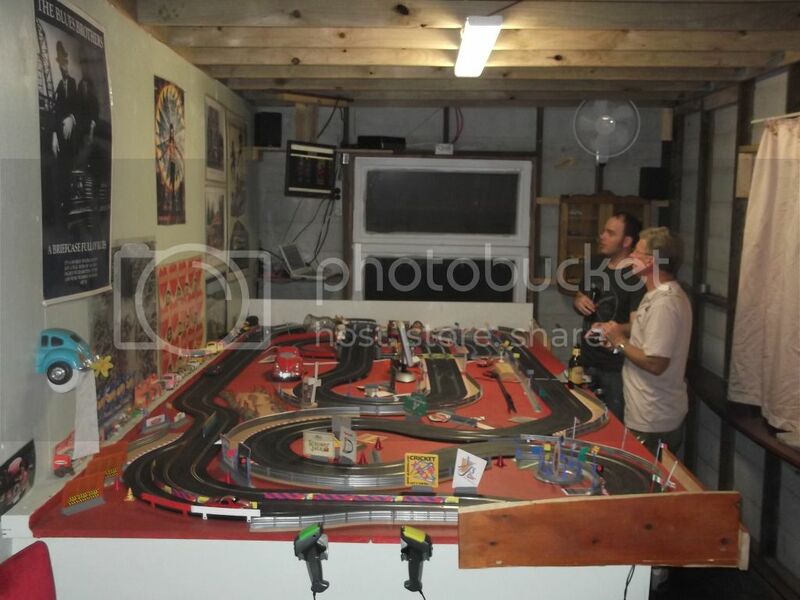 It’s good to get some time to chat about life while drinking beer and racing 1/32 scale plastic cars. Edited by Kholo Kid, 11 February 2013 - 12:33 PM. Every fortnight is pretty dedicated. I organise the meets around every 6 - 8 weeks at the moment. I have set up a facebook page where I can open race dates and the member join. I limit the races to 6 people, as I figure it would be pretty boring for the non-racer to watch? Edited by Johnsxr8, 11 February 2013 - 05:32 PM. Johnsxr8 - I can see why you need a couple of marshall's (I just checked out your link). My room is quite small, so six races is pretty much the limit. 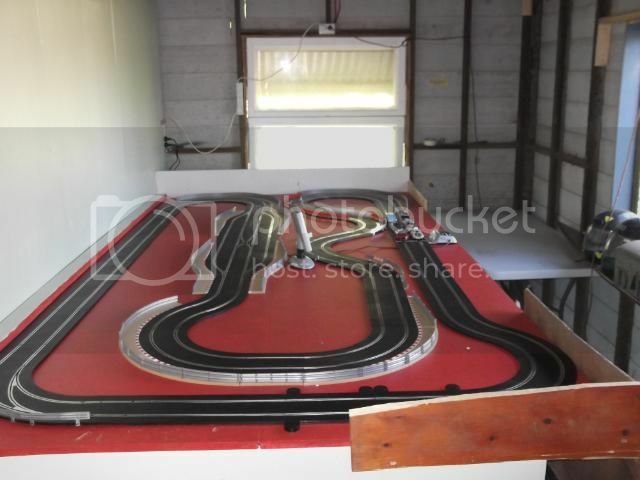 I see your track is a digital routed track, very cool. 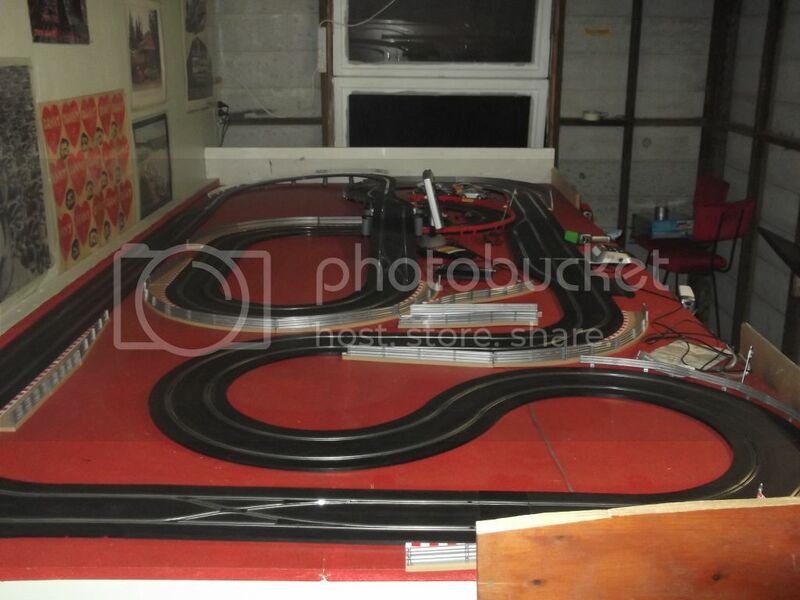 Did it take a while to set up the track and get all the digital elements working? Also, are your lane change sections bi-directional or do you only run in one direction? 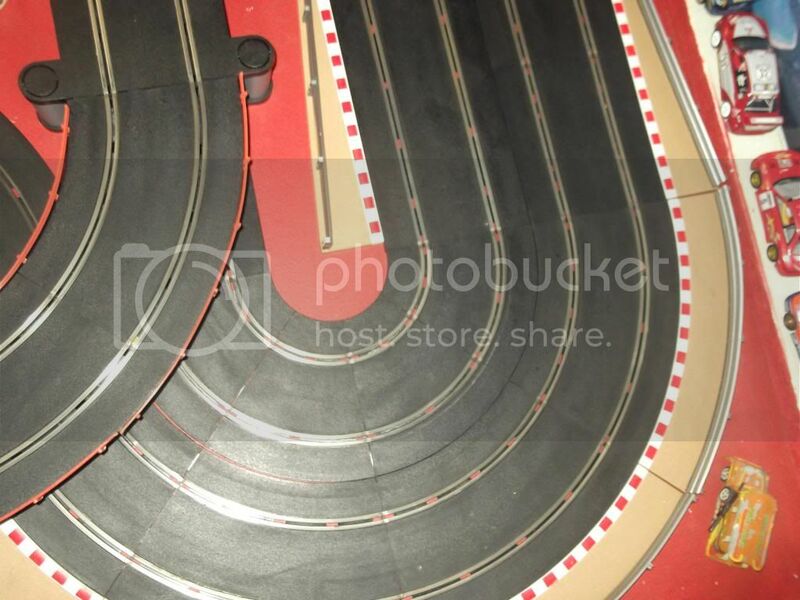 I've redesigned the Kholo track again. Edited by Kholo Kid, 29 May 2013 - 11:43 AM. No real issues. I often have a S1 corner before the X lane change, which slows the cars down. 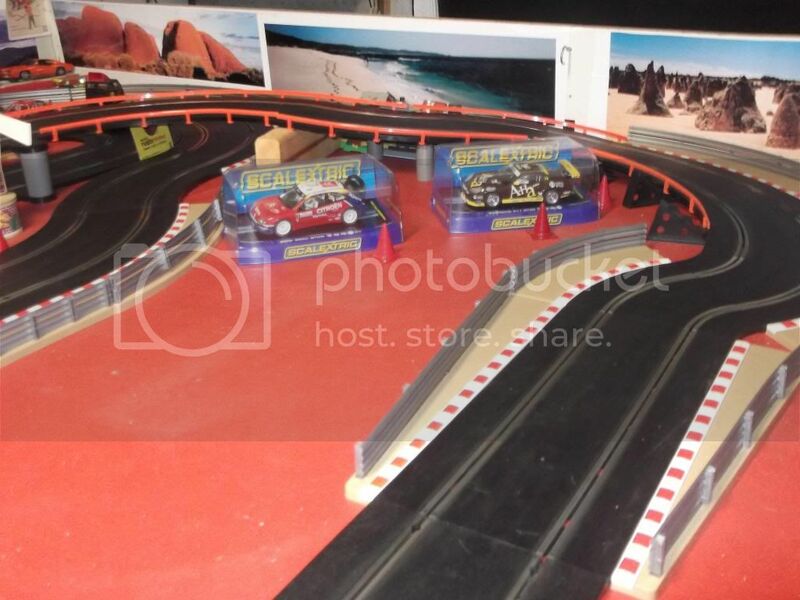 Locating the pit lane on the table within a tight layout has been a challenge because if the lane change is to early before the pit lane then racers find it hard to get the right lane. This time I have place twin pit lanes to remove that as an issue. However, short pit lanes is an issue because cars often fail to gain enough speed to get out (over the dead zone at the toggle). Lastly, if you are using a 4 car powerbase, do yourself a favour and look up the mods to power the lanechangers off an external source. 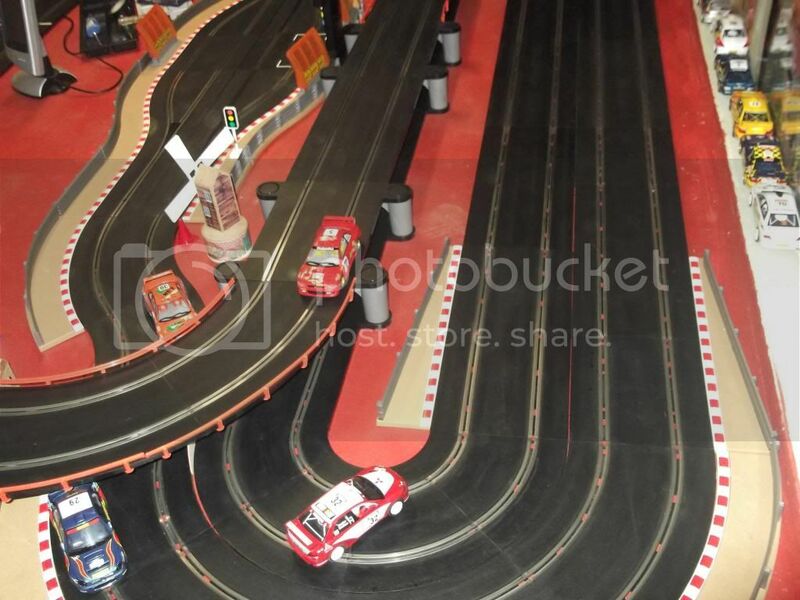 I have found that having the lane changes around the tight sections of the track works well, because the cars are going slower and this is where the skill of individually racers is evident. On the straights the racers at my meets just go for it, 100% gas with no thought of lane changing so the lane changers in the straight have always been wasted. Also, pulling off an aggresive overtaking move in the tight cornering section is very cool. I have had little success with the corner lane changer and now don't use them at all. 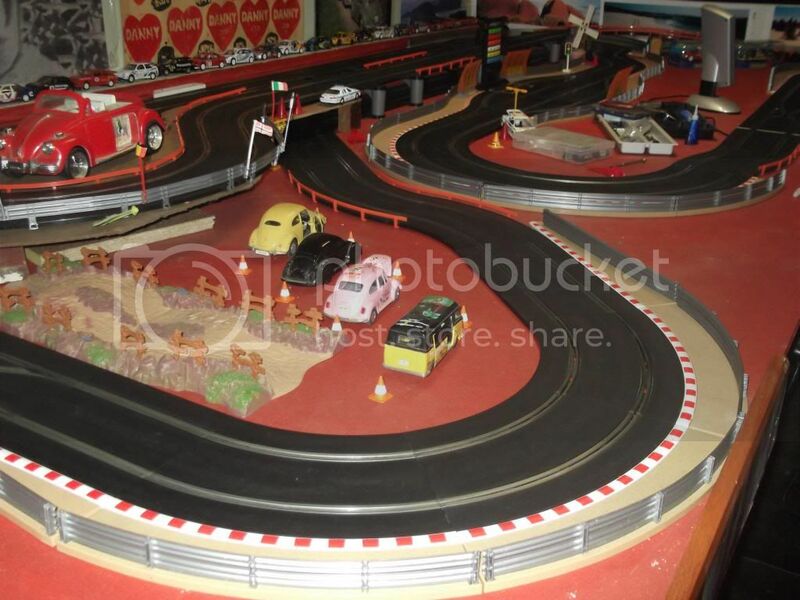 They caused issues when playing in analog mode (with cars switching lanes) and also when racing in the opposite direction in digital mode the cars usually ended up on a single lane as well. 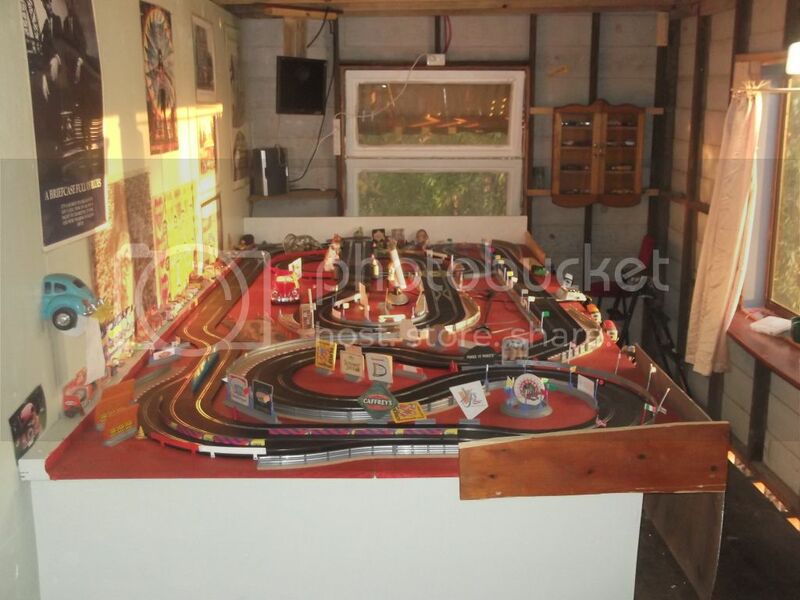 In fact, the lane changing option has been less excting then I had originally thought it would be, the greatest feature of digital is being able to race 6 cars on 2 tracks. Edited by Kholo Kid, 13 June 2013 - 02:04 PM. Yesterday while I was playing around on the track I found that with the 6 car power base in analogue mode you can make the cars reverse. By holding down the lane change button at the same time as the trigger to accelerate the cars actually go in reverse. I was able to reverse out of a crash and keep going… pretty cool really.